These past two months I have focused on eating clean and healthy as often as possible. My healthy eating tends to be not as strict on the weekends, but I figure that is okay as long as I am focused on healthy eating during the week. I also have been working out about 3 times per week. The number on the scale doesn’t seem to want to budge. It’s frustrating and I know I shouldn’t go by the scale, but I am human. Picking up a 4th work out day each week hopefully will help as well as learning a bit more about nutrition. I recently finished reading the book Clean Green and Lean. The book is a bit extreme with clearing out the toxins – no candles (combustion fumes), get rid of all carpet (ok I don’t have the funds for that project), no febreeze spray. I mean some points in the doctor’s book were at bit extreme. However, he definitely explains the benefits of eating certain foods organically and what foods to avoid entirely from your diet. There’s a portion of the book that discusses fish and how farm raised salmon contains a lot of toxins. I knew this from reading other articles and nutrition books, but this book had a lot more detail on the subject. Although it is cheaper and bountiful, the benefits seem to be not worth it. The night I finished the book I went to the store and stocked up on organic produce, Alaskan salmon and other organic goods for the week. In a future post, I will what foods I always buy organically and what ones are clean enough to buy regular. I love this recipe for a simple weeknight meal and also when you aren’t interested in making a fuss in the kitchen. 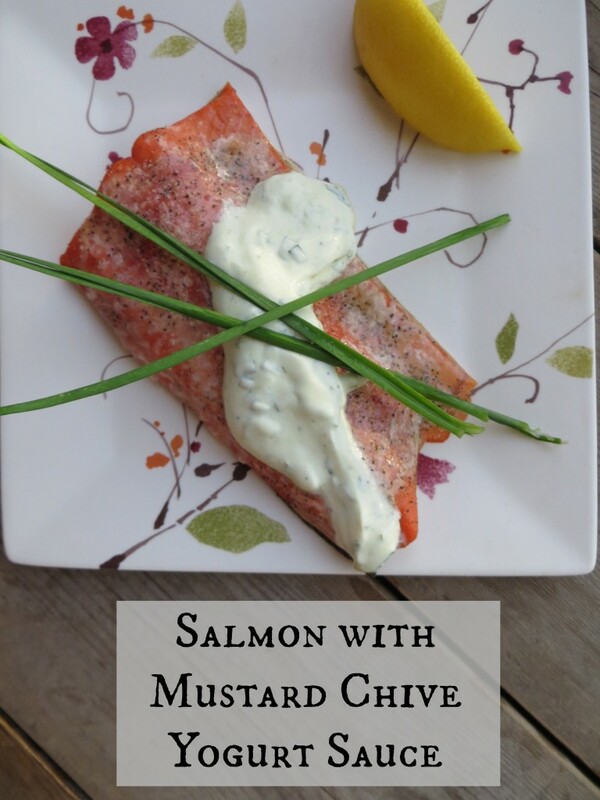 The Mustard and Chive sauce is not cooked at all and the salmon is baked or grilled in under 10 minutes. Prepare this simple meal on a hot night to avoid having to use much heat. 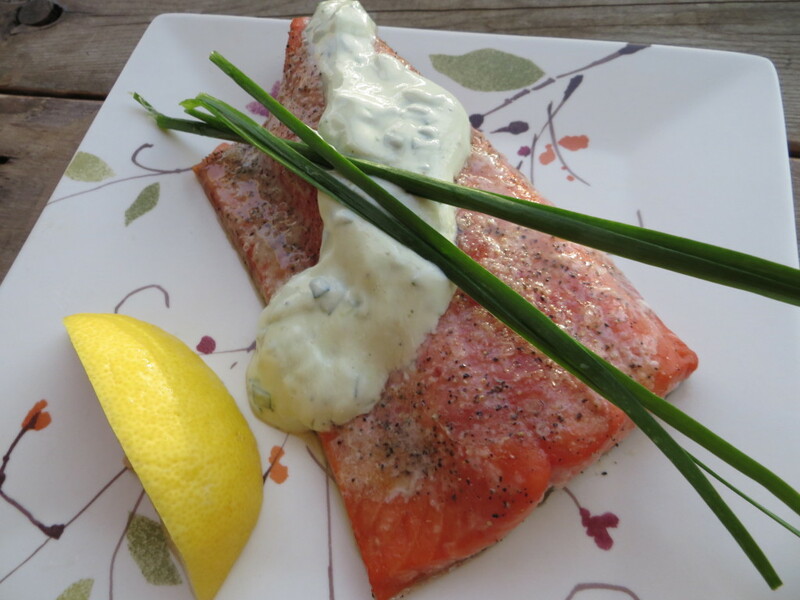 The oily, protein-rich salmon is complemented nicely with the creamy, slightly spicy, fresh lemon sauce. Do you eat organically? If so, what foods are your MUST eat organic? 1. Preheat the oven to 350 degrees or grill to medium heat. 2. Season the salmon with salt and pepper. 3. 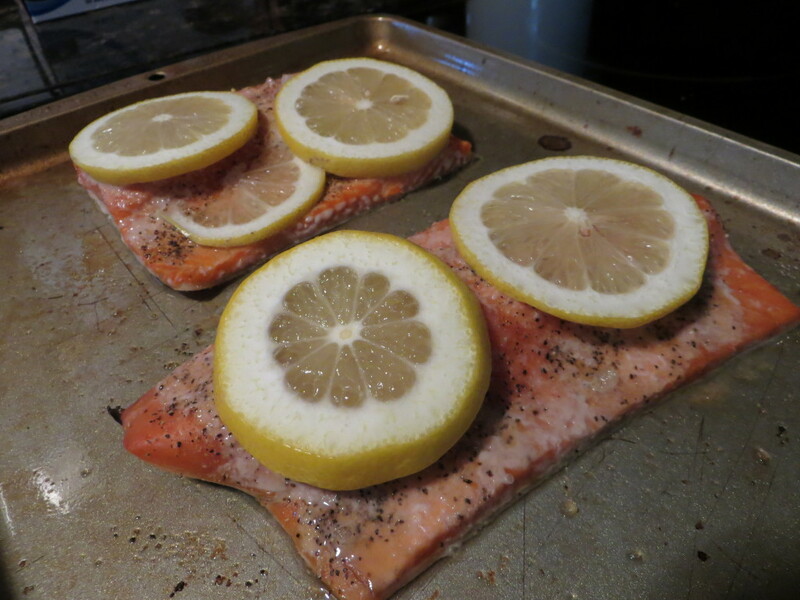 Cut 1/2 of the lemon into thin slices and place on top of the salmon. 4. Bake or grill for 7-10 minutes, depending on thickness. 5. 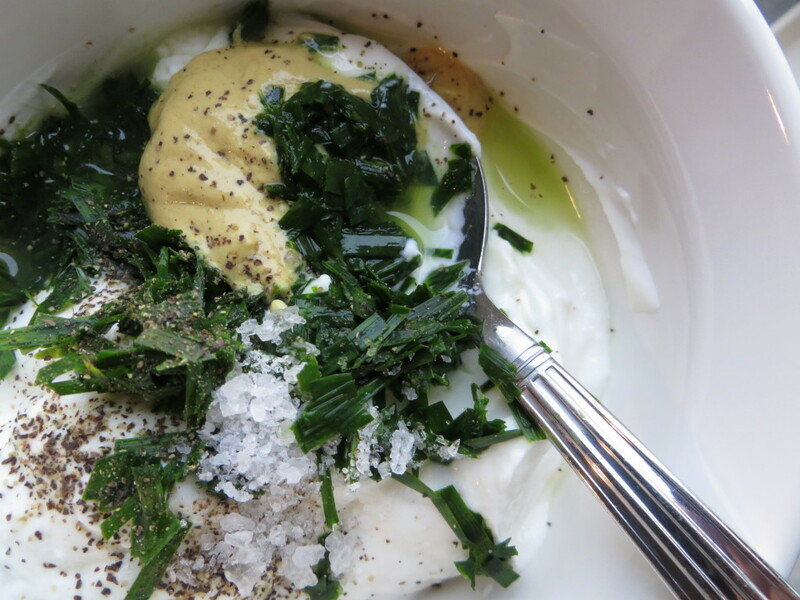 Meanwhile, in a bowl combine the yogurt, chives, juice of lemon, mustard, oil, salt, pepper, and cayenne. 6. Once salmon is done, top with yogurt sauce and serve with a lemon wedge. I’d be interested in reading Could you post it somewhere? All the hoverboard are so very nice i want it.Employing the rear area the place “hoverboard” is an abbreviation for is certainly one piece significantly more dark compared to similar.Option basically bad thing i just concluded. You must participate in a contest for among the finest blogs on the web. I’ll recommend this web site! you have a great blog here! 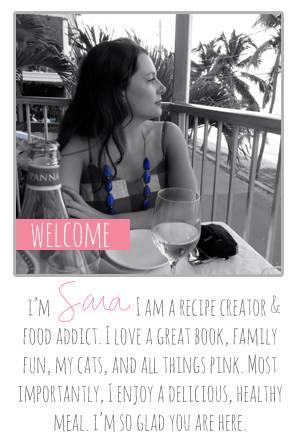 would you wish to make some invite posts on my blog? Spot on with this write-up, I truly assume this website wants far more consideration. I抣l probably be once more to read rather more, thanks for that info. Spot on with this write-up, I truly think this website needs way more consideration. I抣l most likely be again to learn rather more, thanks for that info. After I initially commented I clicked the -Notify me when new feedback are added- checkbox and now every time a comment is added I get 4 emails with the identical comment. Is there any means you possibly can remove me from that service? Thanks!